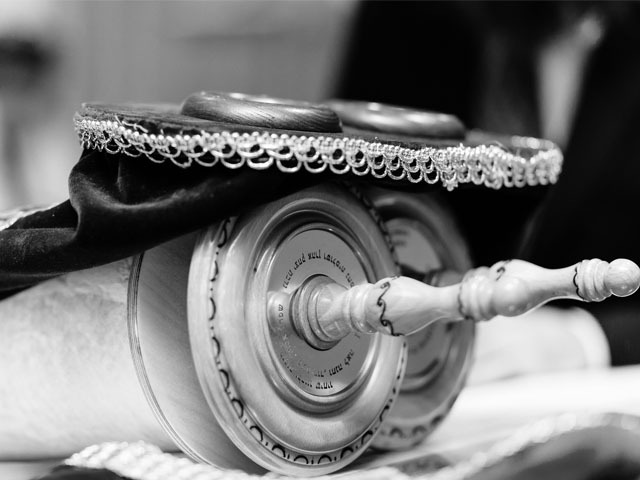 Does every mitzvah contain an implied tefillah for bracha and hatzlacha? Should it be that way? Parashat Ki Tavo with the brachot and the tochecha is a classic place to ask this question because if we take those things seriously, why do we do mitzvot? Because we’re afraid of punishment and we want reward? The following sources seek to address some of these questions. What part does the request for rain have in the וידוי מעשרות? Is it the purpose of the וידוי? If not, what is the purpose? If yes, is it the purpose for doing the מצוות in the first place? How important is it for us to be עליון על כל הגוים in addition to being God’s עם סגולה? What motivation does פס’ י”ט add to פס’ י”ח? In our relationship to God, what do we promise to give and what are we promised in return? If we do our part because we want the rewards that God promises, does that compromise our requirement to do the Mitzvahs בכל לבבך ובכל נפשך? כִּ֣י תְכַלֶּ֞ה לַ֠עְשֵׂר אֶת־כָּל־מַעְשַׂ֧ר תְּבוּאָתְךָ֛ בַּשָּׁנָ֥ה הַשְּׁלִישִׁ֖ת שְׁנַ֣ת הַֽמַּעֲשֵׂ֑ר וְנָתַתָּ֣ה לַלֵּוִ֗י לַגֵּר֙ לַיָּת֣וֹם וְלָֽאַלְמָנָ֔ה וְאָכְל֥וּ בִשְׁעָרֶ֖יךָ וְשָׂבֵֽעוּ: וְאָמַרְתָּ֡ לִפְנֵי֩ יְקֹוָ֨ק אֱ-לֹהֶ֜יךָ בִּעַ֧רְתִּי הַקֹּ֣דֶשׁ מִן־הַבַּ֗יִת וְגַ֨ם נְתַתִּ֤יו לַלֵּוִי֙ וְלַגֵּר֙ לַיָּת֣וֹם וְלָאַלְמָנָ֔ה כְּכָל־מִצְוָתְךָ֖ אֲשֶׁ֣ר צִוִּיתָ֑נִי לֹֽא־עָבַ֥רְתִּי מִמִּצְוֹתֶ֖יךָ וְלֹ֥א שָׁכָֽחְתִּי: לֹא־אָכַ֨לְתִּי בְאֹנִ֜י מִמֶּ֗נּוּ וְלֹא־בִעַ֤רְתִּי מִמֶּ֙נּוּ֙ בְּטָמֵ֔א וְלֹא־נָתַ֥תִּי מִמֶּ֖נּוּ לְמֵ֑ת שָׁמַ֗עְתִּי בְּקוֹל֙ יְקֹוָ֣ק אֱ-לֹהָ֔י עָשִׂ֕יתִי כְּכֹ֖ל אֲשֶׁ֥ר צִוִּיתָֽנִי: הַשְׁקִיפָה֩ מִמְּע֨וֹן קָדְשְׁךָ֜ מִן־הַשָּׁמַ֗יִם וּבָרֵ֤ךְ אֶֽת־עַמְּךָ֙ אֶת־יִשְׂרָאֵ֔ל וְאֵת֙ הָאֲדָמָ֔ה אֲשֶׁ֥ר נָתַ֖תָּה לָ֑נוּ כַּאֲשֶׁ֤ר נִשְׁבַּ֙עְתָּ֙ לַאֲבֹתֵ֔ינוּ אֶ֛רֶץ זָבַ֥ת חָלָ֖ב וּדְבָֽשׁ:הַיּ֣וֹם הַזֶּ֗ה יְקֹוָ֨ק אֱ-לֹהֶ֜יךָ מְצַוְּךָ֧ לַעֲשׂ֛וֹת אֶת־הַחֻקִּ֥ים הָאֵ֖לֶּה וְאֶת־הַמִּשְׁפָּטִ֑ים וְשָׁמַרְתָּ֤ וְעָשִׂ֙יתָ֙ אוֹתָ֔ם בְּכָל־לְבָבְךָ֖ וּבְכָל־נַפְשֶֽׁךָ: אֶת־יְקֹוָ֥ק הֶאֱמַ֖רְתָּ הַיּ֑וֹם לִהְיוֹת֩ לְךָ֨ לֵֽא-לֹהִ֜ים וְלָלֶ֣כֶת בִּדְרָכָ֗יו וְלִשְׁמֹ֨ר חֻקָּ֧יו וּמִצְוֹתָ֛יו וּמִשְׁפָּטָ֖יו וְלִשְׁמֹ֥עַ בְּקֹלֽוֹ: וַֽיקֹוָ֞ק הֶאֱמִֽירְךָ֣ הַיּ֗וֹם לִהְי֥וֹת לוֹ֙ לְעַ֣ם סְגֻלָּ֔ה כַּאֲשֶׁ֖ר דִּבֶּר־לָ֑ךְ וְלִשְׁמֹ֖ר כָּל־מִצְוֹתָֽיו: וּֽלְתִתְּךָ֣ עֶלְי֗וֹן עַ֤ל כָּל־הַגּוֹיִם֙ אֲשֶׁ֣ר עָשָׂ֔ה לִתְהִלָּ֖ה וּלְשֵׁ֣ם וּלְתִפְאָ֑רֶת וְלִֽהְיֹתְךָ֧ עַם־קָדֹ֛שׁ לַיקֹוָ֥ק אֱ-לֹהֶ֖יךָ כַּאֲשֶׁ֥ר דִּבֵּֽר: When thou hast made an end of tithing all the tithe of thine increase in the third year, which is the year of tithing, and hast given it unto the Levite, to the stranger, to the fatherless, and to the widow, that they may eat within thy gates, and be satisfied, then thou shalt say before the LORD thy God: ‘I have put away the hallowed things out of my house, and also have given them unto the Levite, and unto the stranger, to the fatherless, and to the widow, according to all Thy commandment which Thou hast commanded me; I have not transgressed any of Thy commandments, neither have I forgotten them. I have not eaten thereof in my mourning, neither have I put away thereof, being unclean, nor given thereof for the dead; I have hearkened to the voice of the LORD my God, I have done according to all that Thou hast commanded me. Look forth from Thy holy habitation, from heaven, and bless Thy people Israel, and the land which Thou hast given us, as Thou didst swear unto our fathers, a land flowing with milk and honey.’ This day the LORD thy God commandeth thee to do these statutes and ordinances; thou shalt therefore observe and do them with all thy heart, and with all thy soul. Thou hast avouched the LORD this day to be thy God, and that thou wouldest walk in His ways, and keep His statutes, and His commandments, and His ordinances, and hearken unto His voice. And the LORD hath avouched thee this day to be His own treasure, as He hath promised thee, and that thou shouldest keep all His commandments; and to make thee high above all nations that He hath made, in praise, and in name, and in glory; and that thou mayest be a holy people unto the LORD thy God, as He hath spoken. וְהָיָ֗ה אִם־שָׁמ֤וֹעַ תִּשְׁמַע֙ בְּקוֹל֙ יְקֹוָ֣ק אֱ-לֹהֶ֔יךָ לִשְׁמֹ֤ר לַעֲשׂוֹת֙ אֶת־כָּל־מִצְוֹתָ֔יו אֲשֶׁ֛ר אָנֹכִ֥י מְצַוְּךָ֖ הַיּ֑וֹם וּנְתָ֨נְךָ֜ יְקֹוָ֤ק אֱ-לֹהֶ֙יךָ֙ עֶלְי֔וֹן עַ֖ל כָּל־גּוֹיֵ֥י הָאָֽרֶץ: וּבָ֧אוּ עָלֶ֛יךָ כָּל־הַבְּרָכ֥וֹת הָאֵ֖לֶּה וְהִשִּׂיגֻ֑ךָ כִּ֣י תִשְׁמַ֔ע בְּק֖וֹל יְקֹוָ֥ק אֱ-לֹהֶֽיךָ: בָּר֥וּךְ אַתָּ֖ה בָּעִ֑יר וּבָר֥וּךְ אַתָּ֖ה בַּשָּׂדֶֽה: בָּר֧וּךְ פְּרִֽי־בִטְנְךָ֛ וּפְרִ֥י אַדְמָתְךָ֖ וּפְרִ֣י בְהֶמְתֶּ֑ךָ שְׁגַ֥ר אֲלָפֶ֖יךָ וְעַשְׁתְּר֥וֹת צֹאנֶֽךָ: בָּר֥וּךְ טַנְאֲךָ֖ וּמִשְׁאַרְתֶּֽךָ: בָּר֥וּךְ אַתָּ֖ה בְּבֹאֶ֑ךָ וּבָר֥וּךְ אַתָּ֖ה בְּצֵאתֶֽךָ: יִתֵּ֨ן יְקֹוָ֤ק אֶת־אֹיְבֶ֙יךָ֙ הַקָּמִ֣ים עָלֶ֔יךָ נִגָּפִ֖ים לְפָנֶ֑יךָ בְּדֶ֤רֶךְ אֶחָד֙ יֵצְא֣וּ אֵלֶ֔יךָ וּבְשִׁבְעָ֥ה דְרָכִ֖ים יָנ֥וּסוּ לְפָנֶֽיךָ: יְצַ֨ו יְקֹוָ֤ק אִתְּךָ֙ אֶת־הַבְּרָכָ֔ה בַּאֲסָמֶ֕יךָ וּבְכֹ֖ל מִשְׁלַ֣ח יָדֶ֑ךָ וּבֵ֣רַכְךָ֔ בָּאָ֕רֶץ אֲשֶׁר־יְקֹוָ֥ק אֱ-לֹהֶ֖יךָ נֹתֵ֥ן לָֽךְ: יְקִֽימְךָ֙ יְקֹוָ֥ק לוֹ֙ לְעַ֣ם קָד֔וֹשׁ כַּאֲשֶׁ֖ר נִֽשְׁבַּֽע־לָ֑ךְ כִּ֣י תִשְׁמֹ֗ר אֶת־מִצְוֹת֙ יְקֹוָ֣ק אֱ-לֹהֶ֔יךָ וְהָלַכְתָּ֖ בִּדְרָכָֽיו: וְרָאוּ֙ כָּל־עַמֵּ֣י הָאָ֔רֶץ כִּ֛י שֵׁ֥ם יְקֹוָ֖ק נִקְרָ֣א עָלֶ֑יךָ וְיָֽרְא֖וּ מִמֶּֽךָּ: וְהוֹתִרְךָ֤ יְקֹוָק֙ לְטוֹבָ֔ה בִּפְרִ֧י בִטְנְךָ֛ וּבִפְרִ֥י בְהֶמְתְּךָ֖ וּבִפְרִ֣י אַדְמָתֶ֑ךָ עַ֚ל הָאֲדָמָ֔ה אֲשֶׁ֨ר נִשְׁבַּ֧ע יְקֹוָ֛ק לַאֲבֹתֶ֖יךָ לָ֥תֶת לָֽךְ: יִפְתַּ֣ח יְקֹוָ֣ק׀ לְ֠ךָ אֶת־אוֹצָר֨וֹ הַטּ֜וֹב אֶת־הַשָּׁמַ֗יִם לָתֵ֤ת מְטַֽר־אַרְצְךָ֙ בְּעִתּ֔וֹ וּלְבָרֵ֕ךְ אֵ֖ת כָּל־מַעֲשֵׂ֣ה יָדֶ֑ךָ וְהִלְוִ֙יתָ֙ גּוֹיִ֣ם רַבִּ֔ים וְאַתָּ֖ה לֹ֥א תִלְוֶֽה: וּנְתָֽנְךָ֙ יְקֹוָ֤ק לְרֹאשׁ֙ וְלֹ֣א לְזָנָ֔ב וְהָיִ֙יתָ֙ רַ֣ק לְמַ֔עְלָה וְלֹ֥א תִהְיֶ֖ה לְמָ֑טָּה כִּֽי־תִשְׁמַ֞ע אֶל־מִצְוֹ֣ת׀ יְקֹוָ֣ק אֱ-לֹהֶ֗יךָ אֲשֶׁ֨ר אָנֹכִ֧י מְצַוְּךָ֛ הַיּ֖וֹם לִשְׁמֹ֥ר וְלַעֲשֽׂוֹת: וְלֹ֣א תָס֗וּר מִכָּל־הַדְּבָרִים֙ אֲשֶׁ֨ר אָנֹכִ֜י מְצַוֶּ֥ה אֶתְכֶ֛ם הַיּ֖וֹם יָמִ֣ין וּשְׂמֹ֑אול לָלֶ֗כֶת אַחֲרֵ֛י אֱלֹהִ֥ים אֲחֵרִ֖ים לְעָבְדָֽם: And it shall come to pass, if thou shalt hearken diligently unto the voice of the LORD thy God, to observe to do all His commandments which I command thee this day, that the LORD thy God will set thee on high above all the nations of the earth. And all these blessings shall come upon thee, and overtake thee, if thou shalt hearken unto the voice of the LORD thy God. Blessed shalt thou be in the city, and blessed shalt thou be in the field. Blessed shall be the fruit of thy body, and the fruit of thy land, and the fruit of thy cattle, the increase of thy kine, and the young of thy flock. Blessed shall be thy basket and thy kneading-trough. Blessed shalt thou be when thou comest in, and blessed shalt thou be when thou goest out. The LORD will cause thine enemies that rise up against thee to be smitten before thee; they shall come out against thee one way, and shall flee before thee seven ways. The LORD will command the blessing with thee in thy barns, and in all that thou puttest thy hand unto; and He will bless thee in the land which the LORD thy God giveth thee. The LORD will establish thee for a holy people unto Himself, as He hath sworn unto thee; if thou shalt keep the commandments of the LORD thy God, and walk in His ways. And all the peoples of the earth shall see that the name of the LORD is called upon thee; and they shall be afraid of thee. And the LORD will make thee over-abundant for good, in the fruit of thy body, and in the fruit of thy cattle, and in the fruit of thy land, in the land which the LORD swore unto thy fathers to give thee. The LORD will open unto thee His good treasure the heaven to give the rain of thy land in its season, and to bless all the work of thy hand; and thou shalt lend unto many nations, but thou shalt not borrow. And the LORD will make thee the head, and not the tail; and thou shalt be above only, and thou shalt not be beneath; if thou shalt hearken unto the commandments of the LORD thy God, which I command thee this day, to observe and to do them; and shalt not turn aside from any of the words which I command you this day, to the right hand, or to the left, to go after other gods to serve them. All of the ברכות in this פרשה are totally materialistic. What would it be like if people followed the Torah solely in order to receive these rewards and avoid the punishments that follow? Do we expect to receive material rewards for our religious observance today? Is this a lack of faith? Are we lacking in some way if we don’t believe literally in the rewards promised by the Torah? What rewards do we expect? Are these motivational for us? What are the things that motivate us in our religious pursuits? Status? Communal recognition and acceptance? Fear of communal censure? Considering the motivations put forward by the Torah, is there anything wrong with being motivated by personal and communal rewards and punishments? אנטיגנוס איש סוכו קבל משמעון הצדיק הוא היה אומר אל תהיו כעבדים המשמשין את הרב על מנת לקבל פרס אלא הוו כעבדים המשמשין את הרב שלא על מנת לקבל פרס ויהי מורא שמים עליכם: Antigonos the man of Soho received from Shimon the Righteous. He used to say, do not be like slaves who serve the master on the condition that you receive a reward. Rather, be like slaves who serve the master not on condition that you receive a reward and let the fear of Heaven be upon you. אנטיגנס איש סוכו קיבל משמעון הצדיק הוא היה אומ’ אל תהיו כעבדים המשמשין את הרב על מנת לקבל פרס אלא היו כעבדים המשמשין את הרב על מנת שלא לקבל פרס ויהא מורא שמים עליכם: Antigonos the man of Soho received from Shimon the Righteous. He used to say, do not be like slaves who serve the master on the condition that you receive a reward. Rather, be like slaves who serve the master on the condition that you not receive a reward and let the fear of Heaven be upon you. How realistic is Antigonos’s demand that we serve our master without any expectation of reward? Does this fit the model we’ve seen in the Torah? What is the difference between the two versions? Does this make a difference in terms of reconciling Antigonos with the פרשיות that we saw above? If we really ought to do Mitzvahs שלא על מנת לקבל פרס (or על מנת שלא לקבל קנס), why is the Torah so explicit about all of the ברכות we get by following the Mitzvot? ואתה המעיין הבן ממני משל זה ואחר כך שים לבך לשמוע דברי בכל הענין הזה. נניח, שנער צעיר הוכנס אצל מחנך ללמדו התורה, וזה טובה גדולה לו בגלל מה שיגיע אליו מן השלמות אלא שהוא מחמת גילו הצעיר וחוסר דעתו לא יבין ערך אותו הטוב, ולא מה שיביא לו מן השלמות. והנה ההכרח מביא את המלמד שהוא מושלם ממנו לזרזו על הלמוד בדבר החביב עליו מחמת גילו הצעיר, ויאמר לו למד ואתן לך אגוזים או תאנים, או אתן לך חתיכת סוכר, ואז ילמד וישתדל לא לעצם הלמוד לפי שאינו יודע לזה ערך, אלא כדי להשיג אותו האוכל, ואכילת אותו המאכל אצלו יותר חשוב מן הלמוד ויותר טוב בלי ספק, ולפיכך חושב הוא את הלמוד עמל ויגיעה שהוא עמל בו כדי שישיג באותו העמל אותה המטרה החביבה עליו והיא אגוז אחד או חתיכת סוכר, וכאשר גדל ונתחזק שכלו ונעשה קל בעיניו אותו הדבר שהיה מחשיבו מקודם, וחזר להעריך דברים אחרים, משדלים אותו באותו הדבר היותר חשוב בעיניו, ויאמר לו מלמדו למד ואקנה לך נעלים נאים או בגד שתארו כך, וגם אז ישתדל לא לעצם הלמוד אלא לאותו הלבוש כי אותו הבגד אצלו יותר חשוב מן הלמוד והוא תכלית הלמוד וכאשר תהיה דעתו יותר שלמה וייקל בעיניו דבר זה, משדלים אותו במה שהוא יותר מזה, ויאמר לו מלמדו למד פרשה זו או פרק זה ואתן לך דינר או שני דינרין, וגם אז ילמד וישתדל כדי לקבל אותן המעות, וקבלת המעות אצלו יותר נכבד מן הלמוד, לפי שתכלית הלמוד אצלו אז הוא קבלת המעות שהובטחו לו. וכאשר יהיה בעל הכרה יותר וייקל בעיניו גם דבר זה וידע שהוא דבר פחות ערך, משדלים אותו במה שהוא יותר חשוב מזה ואומרים לו למד כדי שתהיה רב ודיין יכבדוך בני אדם ויעמדו מפניך ויקיימו דבריך ויגדל שמך בחייך ואחר מותך כמו פלוני ופלוני, ואז ילמד וישתדל כדי להשיג אותה המעלה, ותהיה התכלית אצלו שיכבדוהו בני אדם וינשאוהו וישבחוהו…וזהו אצל חכמים שלא לשמה, כלומר שהוא מקיים את המצות ועושה אותם ולומד ומשתדל לא למען אותו הדבר עצמו אלא למען דבר אחר, והזהירונו חכמים עליו השלום מזה ואמרו לא תעשם עטרה להתגדל בהם ולא קרדום לחפור בהם, רומזים למה שביארתי לך שלא יעשה תכלית הלמוד לא שיכבדוהו בני אדם ולא רכישת ממון, ואל יעשה תורת ה’ פרנסה, ואל יהא אצלו תכלית הלמוד אלא ידיעתו בלבד, וכן אין תכלית האמת אלא לדעת שהוא אמת, והמצות אמת ולכן תכליתם קיומם….ולפי שידעו חכמים עליהם השלום שענין זה קשה מאד ואין כל אדם יכול להשיגו, ואם ישיגנו לא יישר בעיניו בעיון ראשון ולא יראה לו שהוא דעה אמתית, לפי שדרכו של אדם לא יעשה מעשה אלא להשיג בו תועלת או למנוע נזק, ואם לאו הרי יהיו מעשיו לבטלה, ואיך אפשר לומר לתורני עשה מעשים אלו ואל תעשם לא מיראת עונש ה’ ולא לתקות גמולו, זה קשה מאד, לפי שאין כל בני אדם משיגים האמת ויהיו כמו אברהם אבינו. ולכן התירו להמון שישארו כפי דעתם לעשות הטוב לתקות הגמול, ולהתרחק מן הרעות מיראת העונש, ומעודדים אותם על כך ומחזקים מחשבתם בו, עד שישיג המשיג וידע את האמת והדרך המושלמת מה היא, כדרך שאנו עושין לנער בזמן הלמוד כפי המשל שהקדמנו, והקפידו על אנטגנס איש סוכו על שפרסם בהמון מה שפרסם ואמרו בכך חכמים הזהרו בדבריכם וכו’ כמו שנבאר באבות ואין ההמון מפסידים לגמרי בהיותם מקיימים את המצות מיראת העונש ותקות השכר, אלא שאינם שלמים. אבל מוטב להם בכך כדי שתקנה להם תכונה והכשרה לקיום התורה, ויעברו אל האמת ויהיו עובדים מאהבה והוא אמרם עליהם השלום לעולם יעסוק אדם בתורה אפילו שלא לשמה שמתוך שלא לשמה בא לשמה. The Rambam says that the description of the child being bribed to learn Torah is a משל. What is the נמשל? It is fairly intuitive to say that we should learn the truth because it is truth. Is it equally intuitive to say “והמצות אמת ולכן תכליתם קיומם”? What does it mean to say that their purpose is their fulfillment? According to the Rambam, is there anything wrong with keeping the Mitzvahs because of communal pressure? Is it ideal? Avtalion says: Sages, be careful with your words lest you become obligated to go into exile and you are exiled to the place of bad waters and your students after you drink and die and the name of Heaven is desecrated. What is the meaning of the metaphor about being exiled to the place of bad waters etc.? What is the danger to the students? Note that the Rambam claims that this Mishna is a rebuke of Antigonos’s statement earlier in אבות. 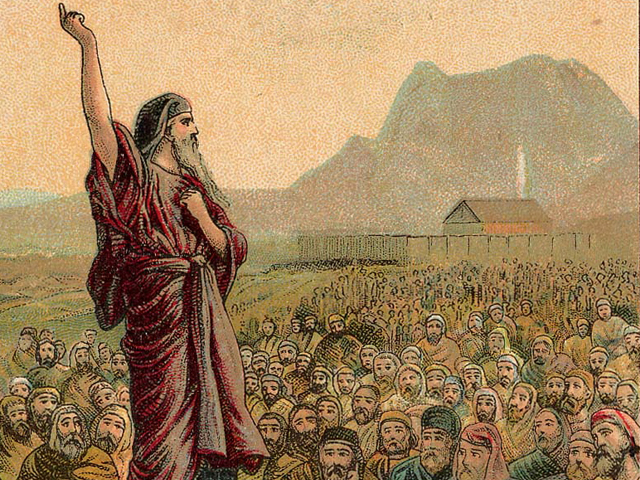 Why might the Rabbis have rebuked Antigonos? What was wrong with publicizing the ideal that we should serve without a reward? Antigonos the man of Soho had two students who were repeating his words. And they repeated to the students and the students to the students. They stood and questioned those before them and said, “What did our fathers see to say this thing? Is it possible that a worker works all day and does not receive their wage in the evening? Rather, if our fathers had known that there is another world and there is the Revival of the Dead, they wouldn’t have said thus.” They stood and removed themselves from the Torah and two splinter groups splintered from them: The Sadducees and the Baitusees. The Sadducees named after Saddoc and the Baitusees after Baitus. And they used vessels of silver and vessels of gold all of their lives. For they were not humble. Rather, the Sadducees said, “it is a tradition in the hands of the Pharisees that they mortify themselves in this world and in the next world, they don’t have anything. What, according to אבות דר’ נתן, is the danger of publicizing the ideal that we should serve without desire for a reward? What is the irony here? In the second text from אדר”נ what alternative do the Rabbis offer to the heresy of Tzaddok and Baitus? What is the irony of this alternative? If firms wish to get enthusiastic participation in business development, they need to start talking and behaving very differently in their attempts to entice non-participants into the program. The very purposeof being good at business development, the very reason to do it, needs to be reexamined! How does Dr. Maister’s analysis compare with the Rambam? In what areas do they agree or disagree? According to Dr. Maister, what does work to motivate people to participate in an activity? How is this different from the Rambam’s vision of doing Mitzvahs because “תכליתם קיומם”? How is it different from the statement of אבות דר’ נתן that “זה שהוא עושה מאהבה נוחל חיי העולם הבא”? How is it different from doing Mitzvahs with an eye towards communal status/censure? Who are the people who are motivated to “do it for the money” and who are the people who are not? If we apply this generationally, is relying on extrinsic motivation for Jewish observance a sustainable model? Maister claims that people’s motivation in marketing comes from finding “the clients they could care about and be eager to help.” In other words, finding ways to serve that give them some kind of personal meaning. 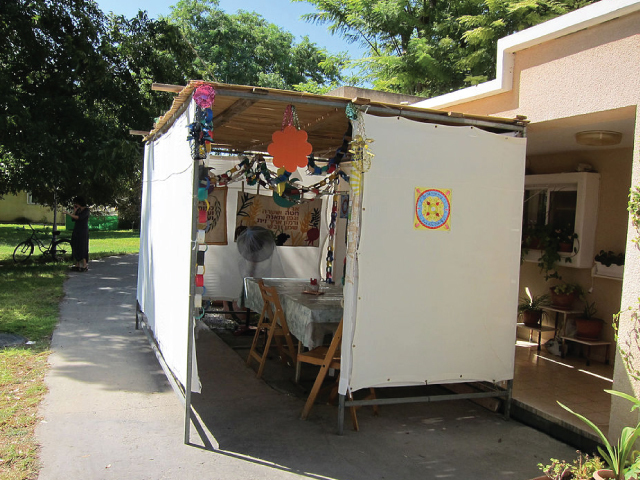 What might be traditional Jewish models that could inspire passion and eagerness to observe the Mitzvahs? ועתה בני אם בינה שמעה זאת, והטה אזנך ושמע, אלמדך להועיל בתורה ובמצוות. דע כי האדם נפעל כפי פעולותיו. ולבו וכל מחשבותיו תמיד אחר מעשיו שהוא עושה בהם, אם טוב ואם רע, ואפילו רשע גמור בלבבו וכל יצר מחשבות לבו רק רע כל היום, אם יערה רוחו וישים השתדלותו ועסקו בהתמדה בתורה ובמצוות, ואפילו שלא לשם שמים, מיד ינטה אל הטוב, ובכח מעשיו ימית היצר הרע, כי אחרי הפעולות נמשכים הלבבות. ואפילו אם יהיה אדם צדיק גמור ולבבו ישר ותמים, חפץ בתורה ובמצות, אם אולי יעסק תמיד בדברים של דופי, כאילו תאמר דרך משל שהכריחו המלך ומינהו באומנות רעה, באמת אם כל עסקו תמיד כל היום באותו אומנות, ישוב לזמן מן הזמנים מצדקת לבו להיות רשע גמור, כי ידוע הדבר ואמת שכל אדם נפעל כפי פעולותיו, כמו שאמרנו. ועל כן אמרו חכמים זכרונם לברכה [מכות דף כ”ג ע”ב] רצה המקום לזכות את ישראל לפיכך הרבה להם תורה ומצות, כדי להתפיס בהן כל מחשבותינו ולהיות בהן כל עסקינו, להטיב לנו באחריתנו, כי מתוך הפעולות הטובות אנחנו נפעלים להיות טובים וזוכים לחיי עד. ורמזו זכרונם לברכה על זה באמרם [מנחות דף מ”ג ע”ב] כל מי שיש לו מזוזה בפתחו וציצית בבגדו ותפלין בראשו מובטח לו שלא יחטא, לפי שאלו מצות תמידיות ונפעל בהן תמיד. לכן אתה, ראה גם ראה מה מלאכתך ועסקיך כי אחריהם תמשך ואתה לא תמשכם. ואל יבטיחך יצרך לומר, אחרי היות לבי שלם ותמים באמונת אלהים, מה הפסד יש כי אתענג לפעמים בתענוגי אנשים לשבת בשווקים וברחובות, להתלוצץ עם הלצים ולדבר צחות, וכיוצא באלו הדברים שאין מביאין עליהם אשמות וחטאות, הלא גם לי לבב כמוהם, קטני עבה ממתניהם, ומדוע ימשכוני הם אחריהם. אל בני, השמר מפניהם פן תלכד ברשתם, רבים שתו מתוך כך כוס תרעלתם, ואתה את נפשך תציל. ואחר דעתך זה אל יקשה עליך מעתה ריבוי המצוות בענין זכירת ניסי מצרים, שהן עמוד גדול בתורתנו, כי ברבות עסקינו בהם נתפעל אל הדבר, כמו שאמרנו. And now, my son, if you have understanding, hear this; incline your ear and hearken. I will teach you of the Torah and the Mitzvahs, for your benefit. Know that a man is influenced in accordance with his actions. His heart and all his thoughts are always [drawn] after his deeds in which he is occupied, whether [they are] good or bad. Thus even a person who is thoroughly wicked in his heart, and every imagination of the thoughts of his heart is only evil the entire day – if he will arouse his spirit and set his striving and his occupation, with constancy, in the Torah and the Mitzvahs, even if it is not for the sake of Heaven, he will veer at once toward the good, and with the power of his good deeds he will deaden his evil impulse. For after one’s acts is the heart drawn. And even if a man should be thoroughly righteous, his heart upright and honest, desiring the Torah and the Mitzvahs, should he but engage constantly in impure matters – as we might say by way of example, if the king forcefully appointed him to an evil vocation – then in truth, if his entire occupation, constantly, all the day, will be in that vocation, at some point in time he will turn from the righteousness of his heart to become completely wicked. For it is a known and true matter that every man ins influenced in accordance with his actions as we have stated. For this reason the Sages of blessed memory said: The omnipresent God wished to make the Israelites meritorious; therefore God gave them an ample, abundant Torah and a multitude of Mitzahs. [It was] in order to fasten all our thoughts onto them, that ll our preoccupation should be with them – and thus to do us good in our afterlife. For by the good actions we are acted upon to become good (virtuous), meriting eternal life. Our Sages of blessed memory hinted at this when they said: Whoever has a mezuzah at his entrance, tzitzith in his garment, and tfillin on his head, he is assured that he will not sin. For these are uninterrupted Mitzvahs [to be observed constantly] and one is constantly affected by them. Therefore look you carefully to what your work and your occupation are: for after them will you be drawn, and you will not draw them [to you]. And let not your imagination make you confident, so that you say, “Now that my heart is entire and whole with faith in God, what loos (harm) is there if I will enjoy occasionally the pleasures of men, to stay in the markets and streets, to jest with the frivolous and speak sparkling wit? And so other similar pursuits that do not bring guilt and sins [directly] in their wake? Surely I have a heart as stout as theirs. My little finger si thicker than their loins. Then why would they pull me along with them?” Do not proceed so, my son. Beware of them, that you should not be caught in their net. Many have drunk, as a result, the cup of their poison. Then you must save your life. And now that you are aware of this, you should not find it hard to understand, henceforth, the multiplication of precepts in connection with remembering the miracles of Egypt, as they are the major pillar in our Torah. For as we become increasingly occupied with them, so are we affected by the matter as we have stated. *Translation from: Charles Wengrov, Séfer haHinnuch, Feldheim Publishers, Jerusalem/New York, 1992. According to the חינוך, what is the psychological effect of doing Mitzvahs? What are the fallacies in this approach? What is attractive? Could this psychological effects described by the חינוך act as a motivation for continued observance of Mitzvahs? How would that be different from observing for the purpose of gaining status or avoiding censure? At the very end, the חינוך seems to imply that not all Mitzvahs are created equal in their ability to adjust and improve our character. Why is remembering יציאת מצרים so important? Which other Mitzvahs might be comparable? *Rambam, Introduction to Helek: Helek is the name of the last chapter of Tractate Sanhedrin. As opposed to the halakhic character of most of the tractate, this chapter opens with a kind of Midrash Aggadah: “All Israel has a part (helek) of The World to Come…” as background to understand the chapter. The Rambam in his introduction to his commentary on the chapter attempted to give general background to the topic of reward and punishment. And by way of this, to clarify ideas in the chapter (like The World to Come). It is in this introduction that the Rambam presents the central tenants of Jewish faith in his opinion and summarizes them as the Thirteen Articles of Faith. The work was originally written in Judeo-Arabic, the translation here is from the Hebrew translation of Yehudah Ibn Tibon which is presented opposite. (Adapted from Hebrew Wikipedia: הקדמות הרמב”ם). *Avoth DeRabbi Natan is an addition to Tractate Avot whose dates of composition and redaction are shrouded in fog. However, it is speculated to be from the period of the Geonim (700-900 CE). The book is divided into two, statements from Chazal (as late as the early Amoraim) and later statements. The book was originally printed together with the printing of the Talmud in Frankfort in 1720. In 1887, Solomon Schechter published a critical edition of Avoth DeRabbi Natan where he called the recension from the printing of the Talmud “Rec. A” (which he corrected according to various manuscripts) and in parallel he published a recension from a manuscript that was unknown until that time that he called “Rec. B”. Schechter noted that the two recensions were parallel but significantly different in many situations. Professor Menahem Kister has concluded that although it is possible that in it’s foundation, the book is from the time of the Tanaim, but it’s text has gone through such significant changes and redactions that it’s almost impossible to tell what its original form was. His research has revealed that both recensions are far from the origin but he grants minor preference to Rec. B. (Adapted from Hebrew Wikipedia: אבות דרבי נתן). 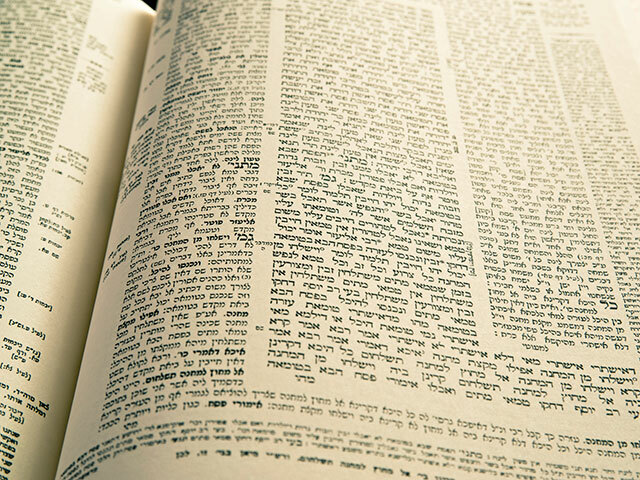 *Book of Education: The Sefer ha-Chinuch (Hebrew: ספר החינוך‎, “Book of Education”), often simply “the Chinuch” is a work which systematically discusses the 613 commandments of the Torah. It was published anonymously in 13th century Spain. The work’s enumeration of the commandments (Hebrew: mitzvot‎; sing. mitzvah) is based upon Maimonides’ system of counting as per his Sefer Hamitzvot; each is listed according to its appearance in the weekly Torah portion and the work is structured correspondingly. The “Book of Education” separately discusses each of the 613 commandments, both from a legal and a moral perspective. 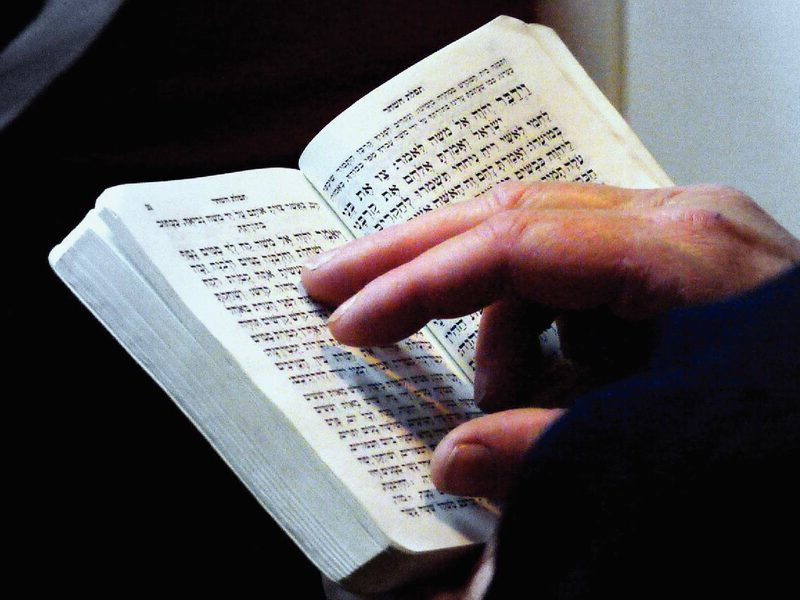 For each, the discussion starts by linking the mitzvah to its Biblical source, and then addresses the philosophical underpinnings of the commandment (here, termed the “shoresh“, or “root”). 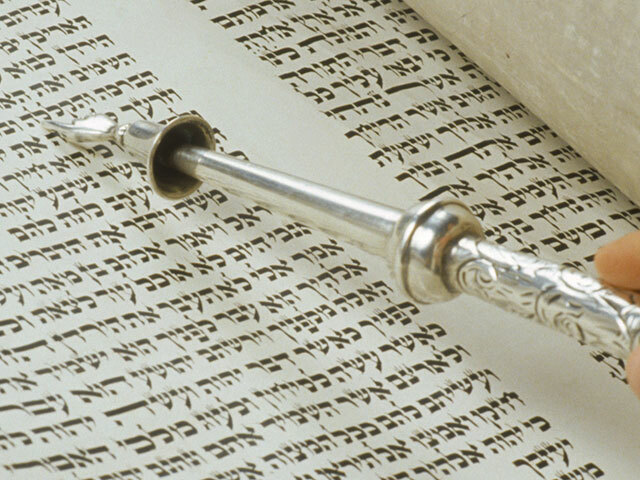 Following this, the Chinuch presents a brief overview of the halakha (practical Jewish law) governing its observance – usually based on Maimonides’ Mishneh Torah – and closes with a summary as to the commandment’s applicability. Because of this structure, the work remains popular to this day. The philosophic portions are widely quoted and taught, while the legal discussion provides the basis for much further study in yeshivot. 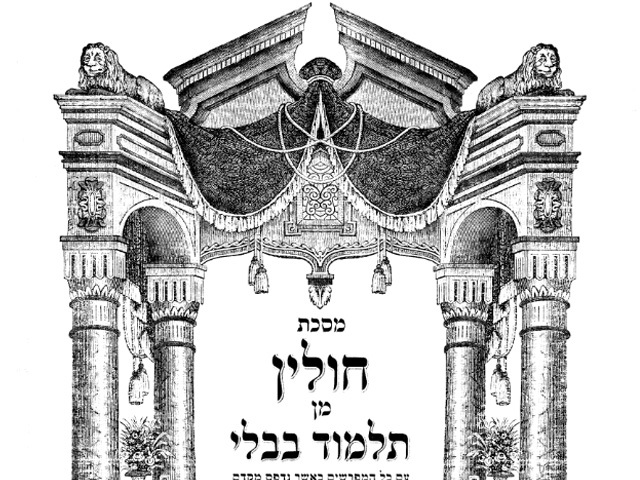 The Minchat Chinuch by “Rabbeinu Yosef” (Yosef Ben Moshe Babad, 1800–1874), Av Beit Din of Ternopil, serves as a legal commentary. *David H. Maister (born July 21, 1947) is a former Harvard Business School professor, American writer and expert on business management practices and the management of professional service firms. 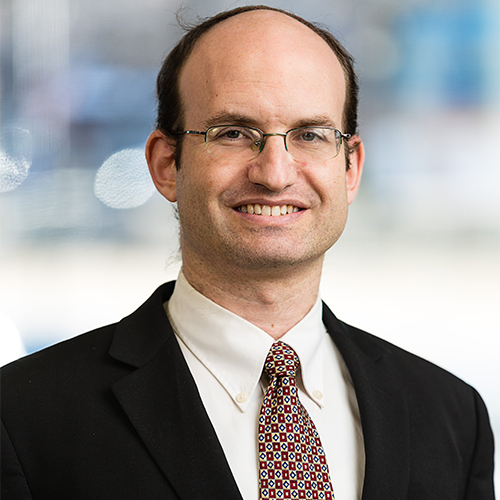 He is best known for writing Managing the Professional Service Firm and co-writing The Trusted Advisor with Charles H. Green and Robert M. Galford. Born and raised in London, England, Maister became a citizen of the United States in 2006.